Moto3 wowed the fans in Austin with a five-rider charge to the final corner of the last lap. Sterilgarda Max Racing Team’s Aron Canet had pulled out valuable tenths of a second into the decisive turn to clinch his first victory (and second rostrum finish) of the season. The Spaniard – celebrating his first win since 2017 and on the KTM RC250GP – headed an all-KTM top three with Jaume Masia fractions of a second ahead of Andrea Migno. Canet and Masia now share the championship lead in the standings. 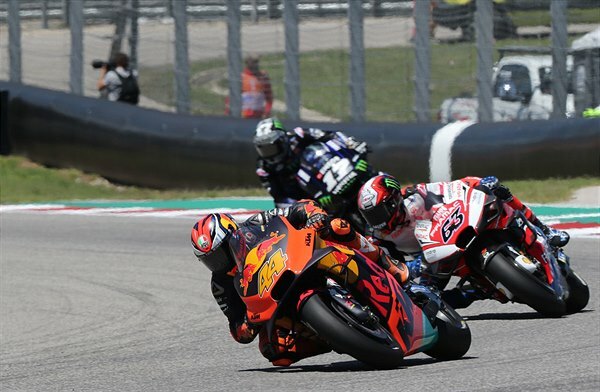 Red Bull KTM’s Jorge Martin took his second point-score of the season with 15th position in Moto2 while Brad Binder was forced out of the race early-on due to a technical issue.